Can you start by briefly telling us about the history of Capstone Investment Group? Capstone Investment Group was established in 2010 with a focus on multi-use high-end real estate development. We concentrate on particular areas in Lebanon, specifically here in Beirut, in Achrafieh. We have a portfolio of three projects so far. In the past 3 or 4 years, we have grown, in spite of the tough economic circumstances that Lebanon has been through. 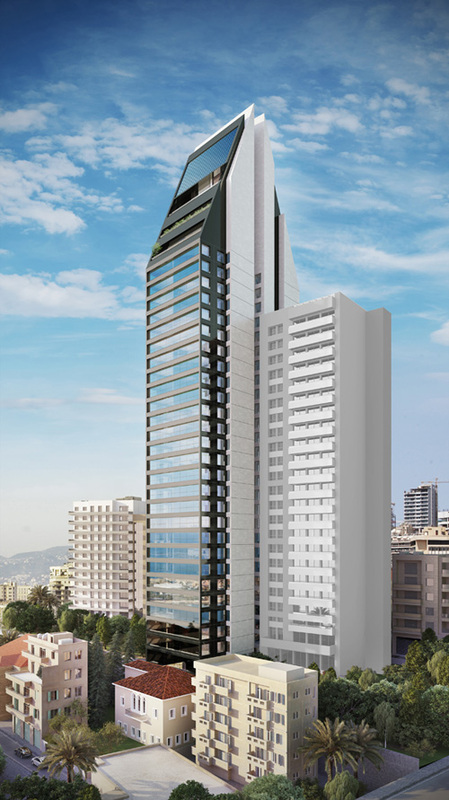 Our projects are all prime and in the Golden Triangle in Achrafieh. All these are very well chosen projects. Our activities are divided into three areas: construction management, finance and administration, and sales and marketing. For any real estate development company to be successful all these three activities must be under your umbrella. As for our management team, we have gathered one of the best management teams in Lebanon. All our managers are highly qualified people with international experience, in the US, Europe or the Gulf. We have a combination of expertise in real estate, engineering, project management, sales and marketing and most importantly, finance. Every investment, every development is based on solid investment criteria and fundamentals. In tough economic situations, like the current one, a strong and able management team helps you navigate the difficulties and the challenges. This has proven to be one of our strongest assets. Location is the most important thing in real estate. We always aim to choose the best locations we can get. A good location for one person may not be the best location for another person. It all depends on your flair and your nose. You mentioned the 3 constructions that you have. I'm sure our readers would like to know more about L'Elite De Sursock, Trabaud 1804 and L'Heritage De Abdel Wahab. Tell us a little about them. 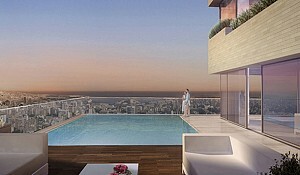 What makes them different from other real estate developments in Lebanon? Location is the most important thing in real estate. We always aim to choose the best locations we can get. A good location for one person may not be the best location for another person. It all depends on your flair and your nose. We have been able to choose very good locations for the projects on hand. They are all in Achrafieh, in the best locations in Achrafieh. Besides location, we emphasize efficiency and the ultimate use of space when planning the layout of our apartments. We also take into consideration air and light circulation for the well-being of the future residents. For us, outside architecture is important, but what is more important is the well-being of the people living inside the apartments. We started out with Trabaud 1804, a residential tower on Trabaud Street of medium sized apartments. We started the project 3 years ago. It's almost sold out now. Delivery on that project is set for the summer of 2015. We also recognized a market need for smaller apartments. The market demand is shifting to smaller apartments. 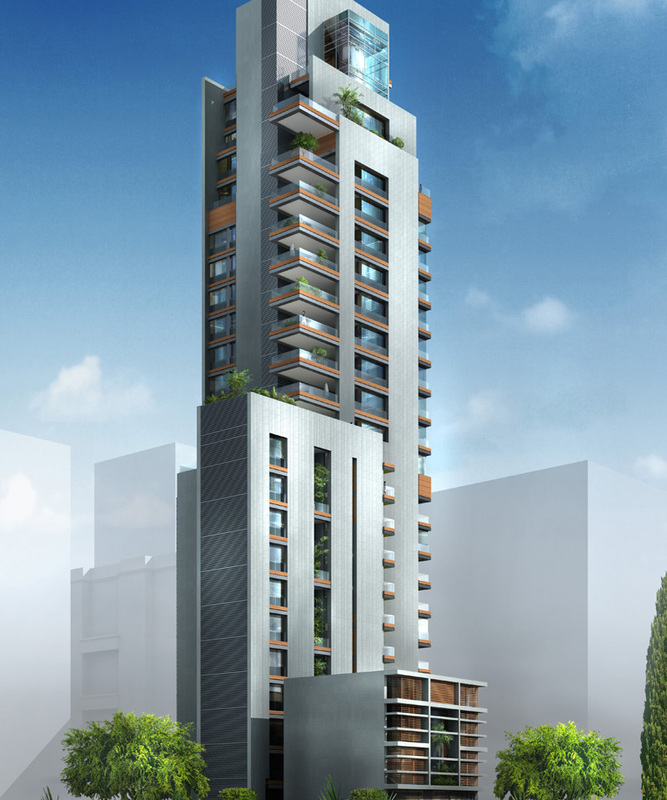 We decided to start a residential building in Abdul Wahab El Inglizi district in Achrafieh. This project has smaller units. These apartments are between 160 and 180 square meters. It is a traditional neighborhood, so we decided to design a building that fits into the traditional character of the area. We built it in the French colonial style with high ceilings. When it's finished in a few months, it will look like it was built 60 or 70 years ago, yet it has very modern apartments inside. It has preserved the traditions and the character of the area. A lot of people like that. This is a product that has sold extremely well. The last project is in Sursock. 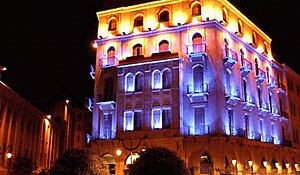 Sursock is a very high end, luxurious area. We decided to develop a modern tower of 30 floors. We decided to have amenities there that are not found anywhere else in Lebanon or Beirut like an infinity pool right at the top, for the use of all the tenants, a clubhouse on the top floor and a gym. As we grow, we are using more green and environment friendly technology in our buildings. This is a green building. It has solar panels. Its energy is run on gas, not on gas oil. There was an old Lebanese house on the grounds that we have decided to preserve. We want to preserve the history of old Beirut. We have integrated this old Lebanese house into the design of the project. It is due for completion in 2017. While there has been a flight of FDI from Beirut, how would you describe the local investment climate for your group? The FDI flight has been out of Lebanon, not just Beirut. Money is so sensitive to the political climate and stability. Recently, investment confidence in Lebanon has weakened. The real estate sector has proven more resilient to the instability in the market. An important factor in that is the Lebanese Diaspora. They have supported the sector and the country for the longest time. If it hadn't been for the Lebanese expatriates transmitting money to the country, we would have gone bankrupt a long time ago. What we call FDI is not FDI in the sense that you know it in other countries. It is mostly remittances from Lebanese expatriates who are sending money home to their families or for deposits in Lebanese banks. 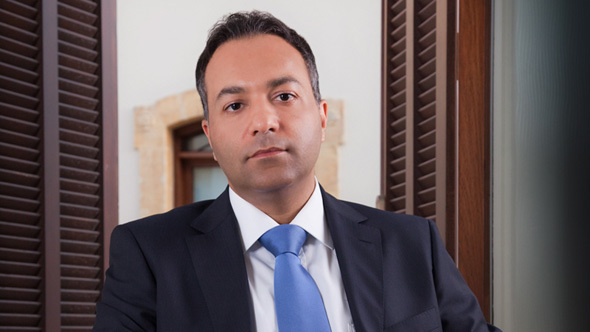 The Lebanese banking sector has proven to be resilient to the international financial crisis of a few years ago. Lebanese people overseas, in spite of all the instability, would like to buy an apartment in their country, to have a foothold. This has saved the sector from crashing. If you look at the history of the real estate sector in Lebanon, even during times of war, the late 70s, the 80s and the early 90s, the sector has not crashed. Prices would bottom out, remain stable for a while and then rise again. Over the years, in spite of the wars and the instability, the trend in the sector has always been up. Lebanese expatriates will continue to send remittances to the country, continue to want a foothold and this will continue to be positive for the sector. What do you look for in the due diligence phase of the sector, to ensure that it is a viable investment? The main thing to look for in real estate is location. After we have determined that it is a good location, based on our flair, our nose, , there are certain other factors that we look at. Most important is the ability to achieve off plan sales. This factor determines whether a project is viable or not. Our investment strategy is based on some form of leverage with the banks. 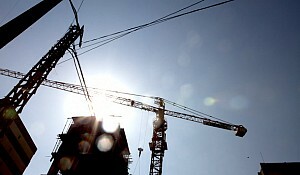 The banks have been lending to our projects, in spite of the economic situation. Another factor we consider before we buy a piece of land.is the product to be developed on that particular land, the size of the apartments, the amenities, etc. . We also look at the ability of the banks to lend us money. If banks are willing to lend to us it is a good indicator that it is a good project, a good location and has good fundamentals. Real estate development is not easy. It is challenging. There is a lot of competition. It also requires a high degree of discipline. A lot of people who have money think they can get into real estate development. But in difficult times, many of them have realized it is not an easy business and they have disappeared from the market, gone out of business. At Capstone, we have a set of guidelines which we follow strictly. These guidelines include the principles of professionalism, excellence, trust, independence, confidentiality, and accountability. We always stick by these guidelines and uphold them, come what may. You mentioned companies going out of business, in spite of huge capital. That is due to some challenges in the market. What are the challenges in the real estate sector? When the market is as difficult as it is today, demand is low. Demand only goes to the best projects at the best locations, by the best developers. Even if you have a good project, unless you have a good reputation or history, people will not buy from you. 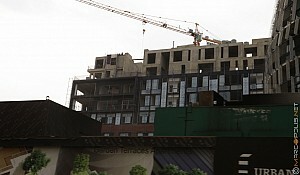 Some developers have ventured into projects, borrowed heavily but were not able to sell. If you do not sell, you will not have the liquidity to repay the bank or erect the building. That is why some of the companies have gone out of business. Is it because people don't trust their reputation or because there is simply not enough demand? We enjoyed hearing from you. Thank you for having us today.